Congratulations to the Outskirts Press Top 10 Best Sellers for May! Each month, Outskirts Press compiles book sales to identify bestselling works. In May, these books sold over 5,000 copies total and appealed to all types of readers. From poetry to inspiration to sports, nearly every genre is represented is this impressive list. 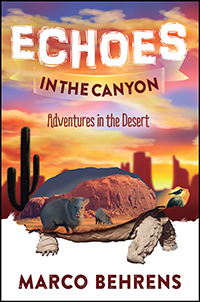 Echoes in the Canyon: Adventures in the Desert by Marco Behrens Myra Louise, a desert tortoise, and her close friend Minnie Squawking Bird, a cactus wren, live in the Arizona desert with their friends Stinky and Smelly-javelina brothers who have a propensity to seek out adventure…and trouble. The javelinas are schemers and dreamers, and Myra Louise and Minnie Squawking Bird have a full-time job keeping the boys grounded and heading in an appropriate direction. Luckily there is also wise Joe Fox-the law in this part of the desert-and his pals Reynard Fox and Hunter Coyote. Echoes in the Canyon is an entertaining look at the critters of the Southwest desert and their antics, and each chapter ends with lessons learned. Above all, this delightful book offers a deeper understanding and appreciation of the Arizona desert and the amazing animals who dwell there. 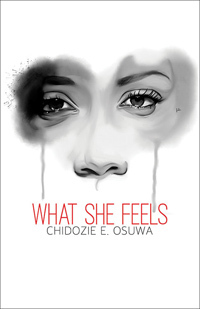 What She Feels by Chidozie Osuwa This is not just another poetry book filled with cliché quotes. It is every emotion a woman has ever felt when dealing with love, but could never put into words. This is looking at yourself in the mirror. This is finally being able to look at your situation from the outside looking in. This is a look into the too often scarred hearts of women. This is inspiration. This is hope. Discipled by Jesus by Hal and Debbi Perkins Can 21st century Christians actually be discipled by Jesus? Perhaps more importantly, can one be a Christian, that is, a disciple of Jesus, if he is not being discipled by Jesus? This writing appeals to Scripture to affirm that Christians can be discipled by Jesus, and that they must be, and how they can be. 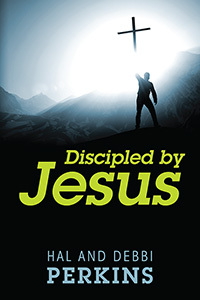 The book further identifies how those who are truly being discipled by Jesus are thus being equipped to disciple others just as they have been discipled. 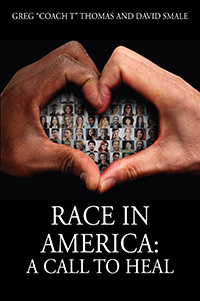 Race In America: A Call To Heal by Greg “Coach T” Thomas and David Smale The author’s message of loving one another in spite of race, color, creed or religion is inspirational to many. Coaches play a huge role in the lives of those they come in contact with, and Coach T represents what is good with leaders of young people today. He is truly a great role model. Drawing from his own personal experiences, which were not always ideal, he teaches others to be open minded, loving and hopeful for a day when our differences in this country, would be welcome and celebrated. Coach T’s message is powerful and enlightening. 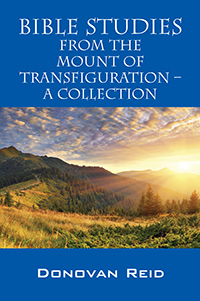 Bible Studies from the Mount of Transfiguration – A Collection by Donovan Reid As it was for Peter, James and John on the Mount of Transfiguration, when they sojourned with Jesus there, this inspirational collection of practical, personal and thought-provoking Bible Studies will provide revelation and insight as you journey through the scriptures. Complex theological and philosophical issues, such as, predestination and freewill are masterfully dealt with in simple terms that everyone can understand. Questions related to contentment, forgiveness, prayer and identifying one’s gift are explained in such a way that gives one a real handle on these challenges of life. This book is a must read for pastors, preachers, lay teachers and anyone seeking a vision of Jesus and a sound understanding of the Christian walk. 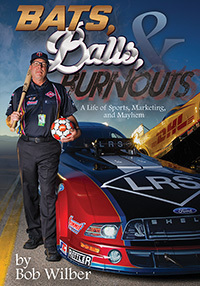 Bats, Balls, and Burnouts: A Life of Sports, Marketing, and Mayhem by Bob Wilber Bob Wilber grew up steeped in the baseball of a different time. He became part of the game professionally, along the way meeting countless unforgettable characters and collecting the memories of successes, disappointments, and adventures detailed here. 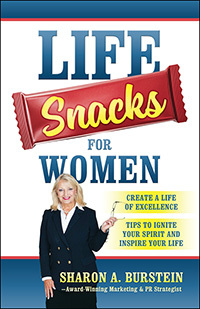 Life Snacks for Women: Create a Life of Excellence – Tips to Ignite Your Spirit and Inspire Your Life by Sharon A. Burstein, Award Winning Marketing and PR Strategist Life Snacks for Women inspires readers of all ages to look at life in diverse ways from different points of view. The words, tips and messages presented throughout the book are uplifting, make you pause, think, reflect and take action. Each healthy bite-sized tidbit gives your life a boost. 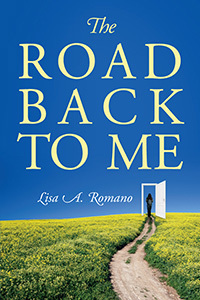 The Road Back to Me: Healing and Recovering From Co-dependency, Addiction, Enabling, and Low Self Esteem by Lisa A. Romano This story is told through the jagged peephole of the author’s awareness, examining her formative wounds and influences from the perspective of a woman who has now gained experience and wisdom. As she peers over her soul’s shoulder, she recalls the chaos of her once-fragile childhood mind. She shudders as she is reminded of the sting of her lonely childhood, her feelings of abandonment, and her painful memories of being bullied. Her childhood self was once so lost that she even contemplated suicide. As the years progress, her mind is riddled with obsession, compulsion, and a crippling sense of low self-esteem. A turning point arrives many years later, after marriage and the birth of three children. This story is about healing the faulty programming of childhood. It is about recovery from relationship addiction, food addiction, anxiety, and constant fear. It is a human story that will resonate with readers from all walks of life, and it offers hope to anyone who has felt imprisoned by the past. Fred’s Guide to Stem Cell Transplants: Patient to patient talk and walk down this cancer path not chosen by Fred & Kathy Roth Fred knows facing cancer can feel like an impossible, insurmountable challenge. He has been through two stem cell transplants. He knows what it’s like to endure and survive the rough ride of diagnosis, assessing the risks, finding a donor, and dealing with the side effects. Having come out on the other side, Fred and Kathy have collected observations, ideas, suggestions, and insights to help you on your journey. 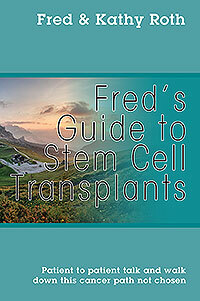 Most of all, Fred’s Guide to Stem Cell Transplants is an encouraging, supportive resource to help you find the powers within you to add to your own healing plan. 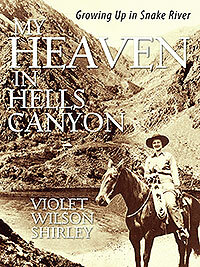 My Heaven in Hells Canyon: Growing Up in Snake River by Violet Wilson Shirley This is one helluva narrative about one helluva woman who believed that Hells Canyon was her heaven. You’ll be captivated by Violet Wilson Shirley’s stories about ranch life in the deepest part of Hells Canyon. The Pete and Ethel Wilson family lived exemplary lives. Could we survive and scratch out a productive life in this rugged terrain with rattlesnakes, fickle weather, steep slopes, and animal predators constantly challenging our bodies and minds? Could we successfully raise eight children? After she retired, Violet returned to the canyon as a U.S. Forest Service volunteer at the Kirkwood visitor center. She contributed time almost every year between 1986 and 2004. Violet’s spirit is chiseled into the cliffs and slopes of Hells Canyon and floats above the rapids of Snake River as it plunges through that spectacular gorge.